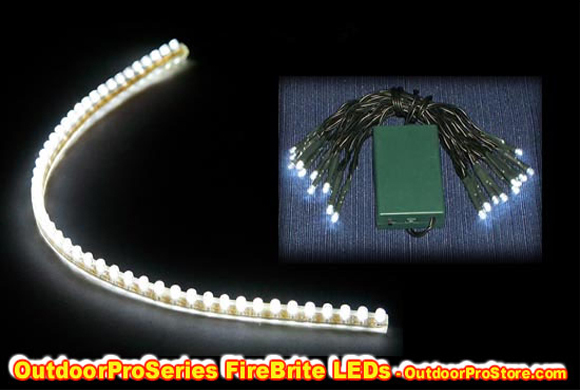 Firebrite LED 48 inch 1st come first served: $36.99 while supplies last! 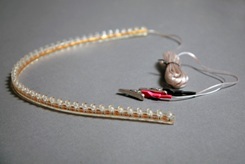 FireBrite LEDs Ice Fishing Fish House Lights are bright, waterproof, and flexible at room temperature, low energy usage items, making them the perfect light for lighting up your portable ice fishing house. You might find cheaper, similar lights but they aren't the same. Those cheap LEDs yellow, crack and the wires are cobbled on. The FireBrite LED Ice Fishing Fish House Lights were specially designed for you, by ice fishermen for the ice fishing enthusiast. FireBright High Quality LED Lights eliminate the need to carry a lantern around for your fish house. FireBrite lighting uses your 12V vex battery hook-up. Out of stock will ship around the 30th of Dec.
You might find cheaper, similar lights but they aren’t the same. Those cheap LEDs yellow, crack and the wires are cobbled on.